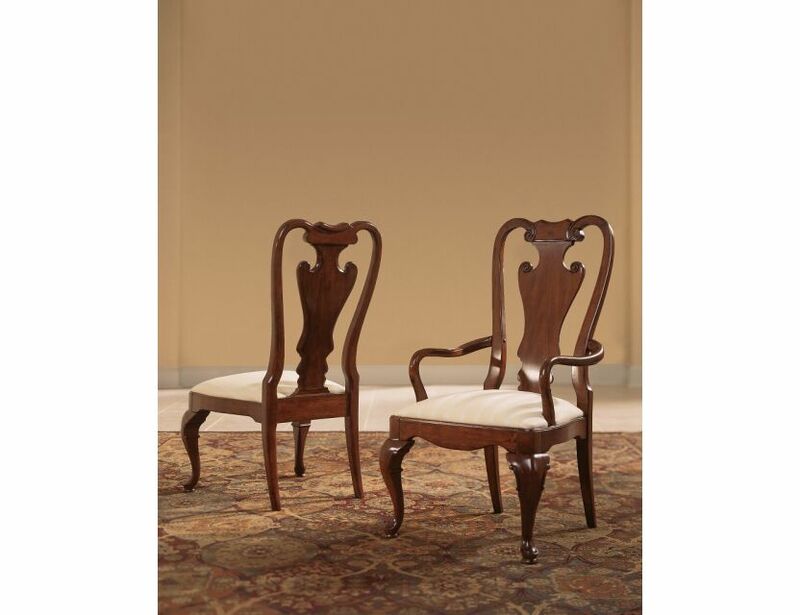 Queen anne splat back side chair with cabriole legs is reminiscant of old days. 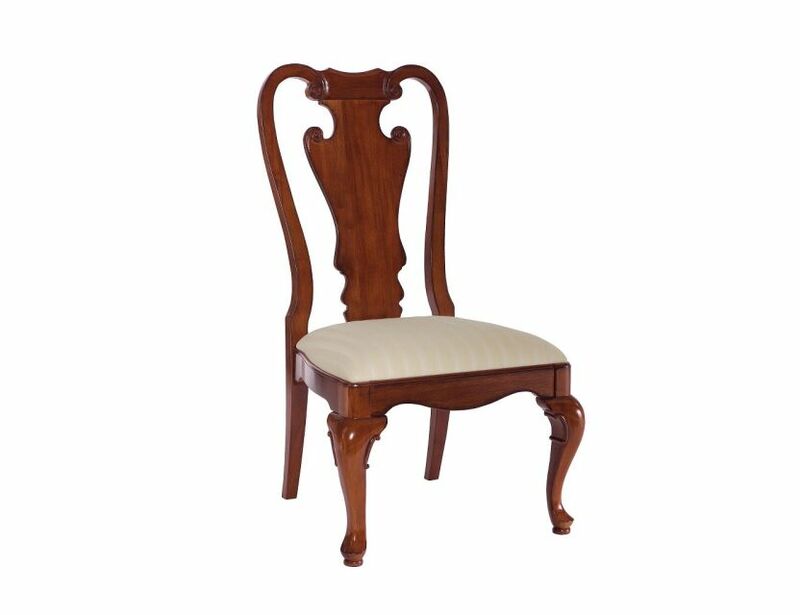 Beautiful traditional styling with updated look makes this a perfect complement to any dining table. Since 1960, The Cherry Grove Collection, has blended new and old adaptations from 18th century with higher end traditional styling. 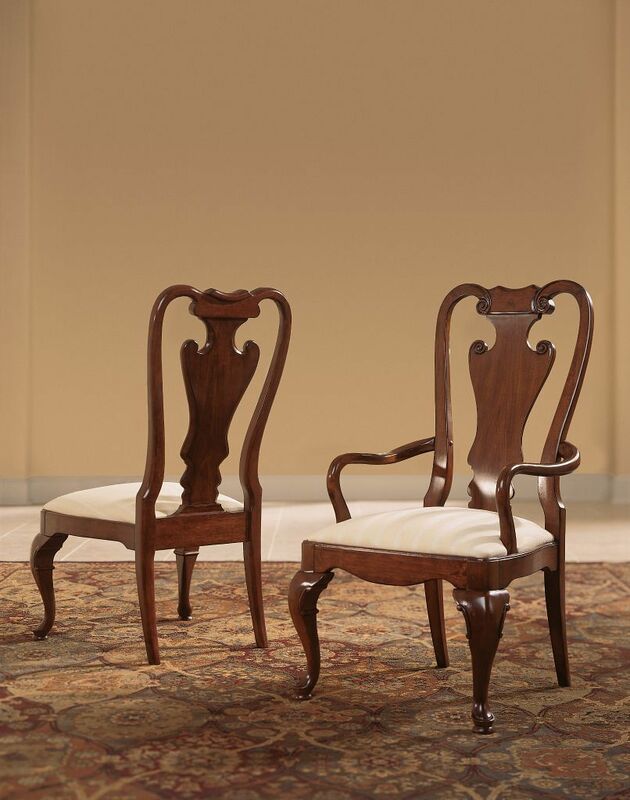 Georgian, Edwardian, Sheraton along with Queen Anne elements create this beautiful assortment of furniture. 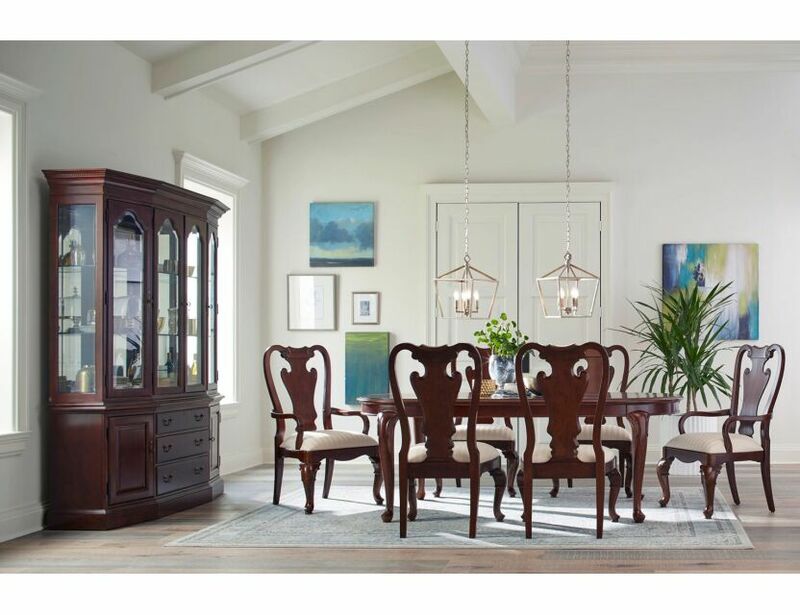 Cathedral cherry veneers, rubberwood solids and select hardwoods create an exciting collection of bedroom and dining room from American Drew. Cherry Grove features many items that have been designed to fill the needs of your home along with many proven winners that have existed since the very beginning. Scale and dimension have been addressed to better suit today’s standard of living. Cherry Grove now offers you a variety of opportunities to complement multiple decorating environments.